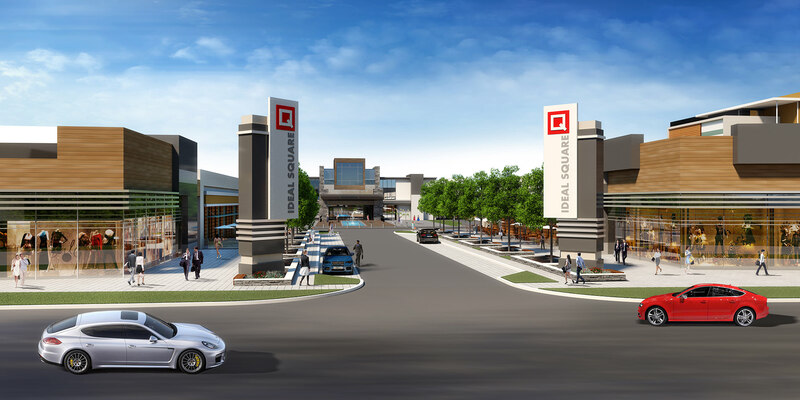 Ideal square is located at 2710 Morningside Avenue and 1730 Neilson Road in Scarborough, ON. The site is comprised of two parcels with a total area of approximately 11 acres bounded by Morningside Ave to the east, Neilson Road to the south, a Canadian Pacific Railway line to the west, and another vacant Business Park parcel to the north. Here Ideal Developments will build 1,000-30,000 Commercial/Retail space, 1,000-24,000 premium office space and a 40,000 sq. ft. Banquet Hall. The Business Park will be designed to create a highly-articulated built form edge and pedestrian-friendly streetscape. Special attention to every detail of this business park has been taken into consideration, specifically, landscape design, entrance and access points, building architecture and signage. Building entrances will be oriented to the street for the purpose of creating an attractive retail environment, highlighted with canopies or similar architectural features that reflect the overall design of the business park. Setbacks at intersections will be enhanced with soft landscaping and entrance features that will be designed to serve as a main architectural focal point. 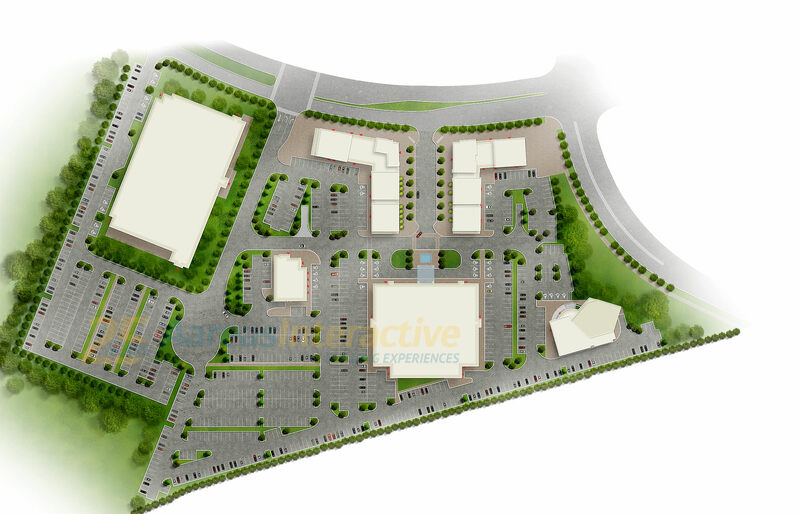 Large parking areas will be sub-divided by landscaped islands and/or the placement of buildings. Islands will be organized to form safe pedestrian routes. For more information about this exciting commercial opportunity, please contact us. Are you interested in leasing or purchasing the space? By clicking this box or by completing this Registration Form for Ideal Developments I expressly provide my consent to receive electronic messages from Ideal Developments retroactively, today and in the future and for any Ideal Developments projects. I understand that I may withdraw my consent by unsubscribing at anytime.